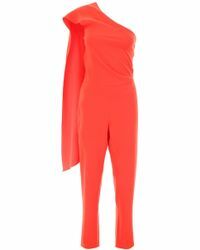 Inherently feminine in its aesthetic, French fashion house Lanvin has been creating beautiful womenswear since 1889. 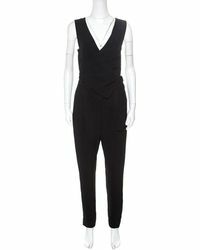 Its ready-to-wear, in particular its jumpsuits, are often grabbing the attention of the fashion and celebrity world alike. 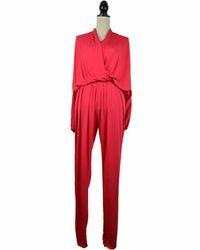 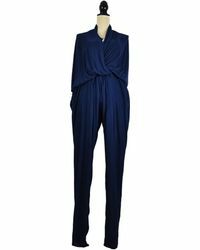 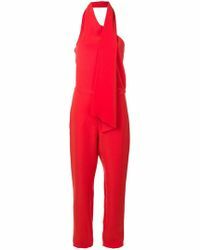 Using its signature draping and ruching techniques first refined by founder Jeanne Lanvin, Lanvin jumpsuits come in a variety of bold colours, perfect for any party or celebration. 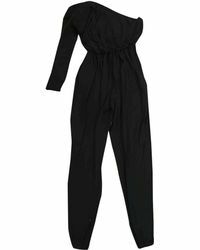 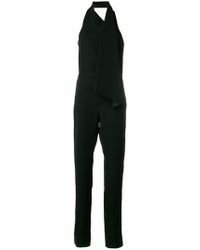 Lanvin jumpsuits are also available in a range of more androgynous styles and monochrome shades. 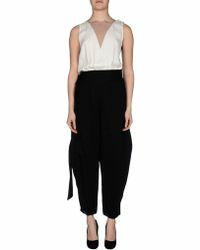 A favourite trend of Creative Director Alber Elbaz, these boy-meets-girl looks are perfect for making an entrance anywhere from a formal party to fashion week.